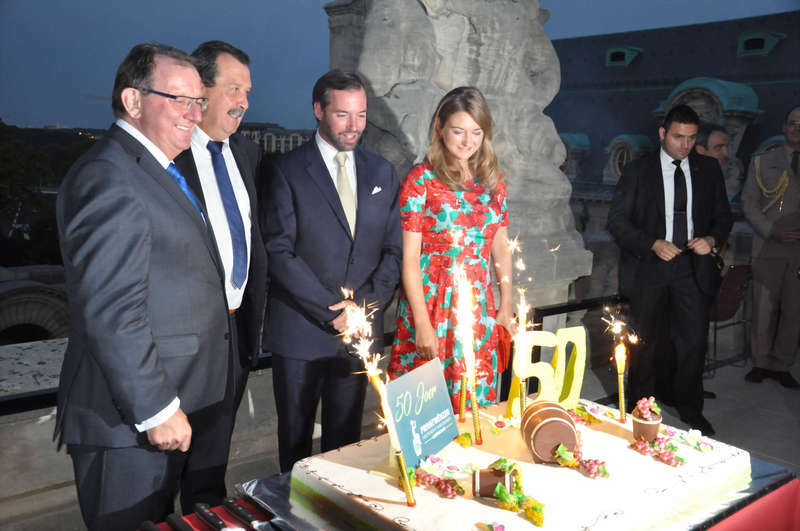 On Tuesday this week, Hereditary Grand Duke Guillaume and Hereditary Grand Duchess Stéphanie were on hand to celebrate the 50th anniversary of the Organisation Professionelle des Vignerons Indépendants (OPVI). There was cake, there were table fireworks and there was an academic session. No word on whether they were also honorary ambassadors of wines and crémants by the independent winemaker association like Prince Félix and his yellow trousers were in 2014.